► BRITISH TOURIST NUMBERS TO FLORIDA Consult www.visitflorida.org the state’s tourism website or call  488-5607. They supply/track that information and maintain current figures. ► The United Kingdom has long been Florida’s most important international market outside of Canada. And the numbers show why. In 2015, 1.7 million tourists from the UK visited Florida — more than visitors from Germany, Mexico, Australia, China and India combined. But it’s more important than just the volume of visitors, Visit Florida Florida President Will Seccombe said. British tourists spend and spend and spend. British tourists combined spent $1.5 billion on their visits, dwarfing what travelers from any other nation but Canada spend. The data shows us a Brit is going to spend more than any other foreign visitor. ……Statement December 10, 2016 from Visit Florida, the State’s official tourism marketing agency based in Tallahassee. ► “ Florida goods exported to the European Union U totalled $6.3 billion and Florida products exported to the UK in 2012 reached $1.2 billion-a 4 percent increase. British firms employ 39,000 people in Florida making Britain the largest foreign job supporter in the Sunshine State.” ——-June 2013 Statement from Florida’s British Consul-General at a trade function in Miami. This figure obviously changes, up or down. For further/current UK trade information phone the Miami British Consulate on  400-6400 press the Trade option. ► FLORIDA FACT: A record 89.3 million people visited Florida in 2012 the state’s official tourist office VISIT FLORIDA announced last month. That was a total increase of 2.3 per cent over 2011 which was also a record-breaking year. Overseas visitors, many of whom are always from the UK, showed the greatest growth increasing by 9% to 10.2 million. ■ BRITISH VISITORS abound year-round in Florida but Miami specifically increases in popularity year by year. In 2013 arrivals just from the UK were 997, 518 up from 795, 591 the year before. [I don’t have figures into Orlando and Tampa airports]. I hear British accents everywhere and English blokes walking around in football fan shirts, shaming their prettily dressed wives. Why do so many British male tourists to Florida men think suitable vacation wear is a West Ham shirt? Male tourists from Italy are divinely dressed in linen trousers and fitted shirts—sigh. ► In 2012 Foreign Visitors to Miami International airport were 1] Brazil 2] Mexico with 1.17 million 3] Columbia with 1.03 million and 4] UK with 921, 603. ► International tourist traffic to Florida [including visitors from the UK] increased by more than 9 percent during the first quarter of 2012. ► Tony Blair’s UK Government Think Tank contacted my office in May 2006 to provide figures for their research, to ascertain the number of British expatriates in Florida. [I suspect for voter outreach]. Also in 2006 The British Consulate in Orlando set up a system whereby they could track the British community in Florida, in case of distress in hurricanes etc, and consulted me. They asked me to publicise it via my Union Jack Newspaper newspaper column to expats in Florida, which I did then and in 2011. 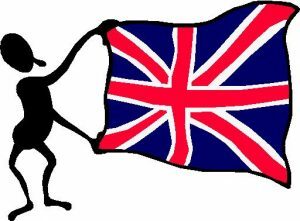 The Consulate now has a voluntary system where Brits can register–see it explained on BRITISH CONSULATES page on this website. The number of Brits in Florida literally goes up and down every day. ► October 2011 FLORIDA FACT: Currently, 31% of property buyers in Florida are international. UK buyers comprise 7% and come 5th in the foreign top ten. In South Florida, 60% of buyers are foreign nationals, many from Europe. [October 2011 Figures compiled by the National Association of Realtors]. ► April 2011 FLORIDA was deemed one of the top states to set up business, in a recent ranking of the 20 cheapest regions to set up shop. Jersey-based BIZ Costs did an analysis in February 2011 of 55 USA areas, weighing factors like labour costs, tax burdens, utility costs, travel costs, office/warehouse/business space leasing costs and others key factors. Florida appeared 5 times, with Orlando claiming the top spot of all 55 surveyed. [Jacksonville was third, Tampa Bay was seventh, Palm Beach was sixteenth and BrowardCounty 20th.] Miami, due to its cosmopolitan, urban desirability and popularity like Manhattan or London, is not a cheap place to operate. Only Florida boasted more than area in the USA’s top 20. ► July 2011—The UK has dropped down to being the third-largest foreign investor in the USA. [First is China, then Japan]. ► 1.4 million British tourists visit Florida each year–official figures fro State Tourism Department. One third of all visitors to BuschGardens in Tampa are British, Busch Gardens PR department confirmed. For latest numbers of visitors from UK, phone Florida‘s State Department of Tourism in Tallahassee on  488-5607. ► Florida is the most popular state for property buyers from the UK. UK buyers are in the top 5 of foreign buyers for Florida property. ► REAL ESTATE [August 2008] Florida remains by far the most popular location for foreign buyers of real estate, the National Association of Realtors announced, releasing its figures for May 2007-May 2008. Canadians, first, British second, Mexicans third. Florida was the top choice of British buyers with California second. [The Germans chose Florida first too—-sigh, more of the towel-hoggers on our beaches]. 1] Florida comes second to California as the most popular state for Brits to settle in, the USCIS announced in 2006. 2] The most popular Florida areas Brits choose to settle in are: Broward-Miami-Dade area, second Orlando, third Tampa. 3] South Dakota is the least popular state with emigrating Brits—The Brokeback Brits, tee hee? 4] Most UK Brits came here on family visas [marriage to Americans etc] rather than E2/B1/B2 work/business visas. ► JULY 2006. The UK’s Institute for Public Policy in London, working with the Foreign and Commonwealth [again] contacted the British Bureau for their Brits Abroad research project. They were conducting the UK‘s largest survey ever on British expats living abroad. They asked me for statistics and an overview of Brits in Florida.